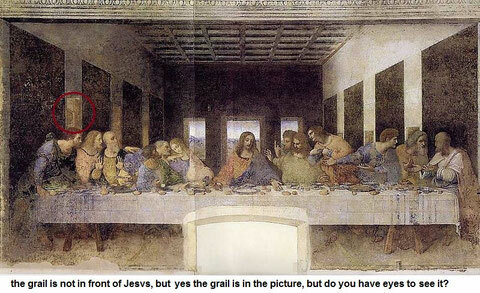 There is just one simple and profound Fact about the Holy Grail, a fact with immense impact on mankind: Jesvs used it during His last supper here on earth and with it He instigated the memorial of His death for all faithfull [*] mankind! [*] incursive highlight is our emphesis on the word. 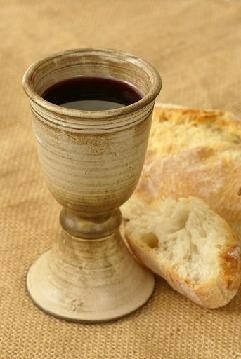 The bread and the wine: SYMBOLS representing Christ body and blood. could make the carier walk on air. 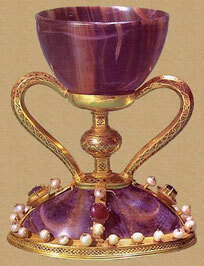 Some believe that the Grail is a symbolic reverence to Mary Magdalene as being this vessel. (for more info go to: Mary Magdalene. 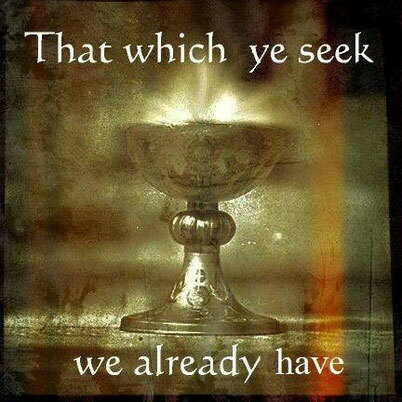 There are many false Grails out there in the world, such as the famous Grail of Valencia (Spain) or the the less known one of San Isidoro de Leon (Spain). 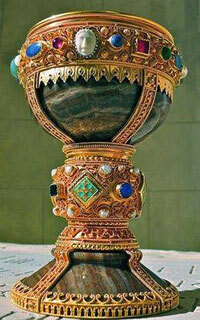 It would be most unlikely, that either one of these two shown there, is the vessel Christ used, because as the Holy Schriptures indicate Christ held no posessions and was poor. How could he have affored such riches? 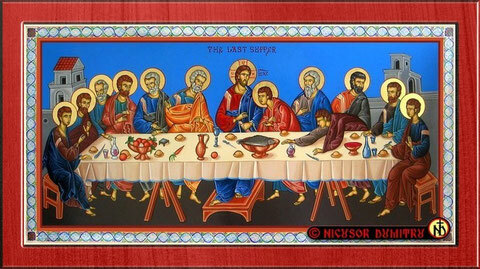 Neither ofcourse, was the upperroom where the supper was held, his own and therefore also the vessels put ready for the supper might not have been Christ's either. Therefore one might conclude that the owner of the upperroom might have been rich. But nothing in the Holy Scriptures imply that either. So what are we left with? 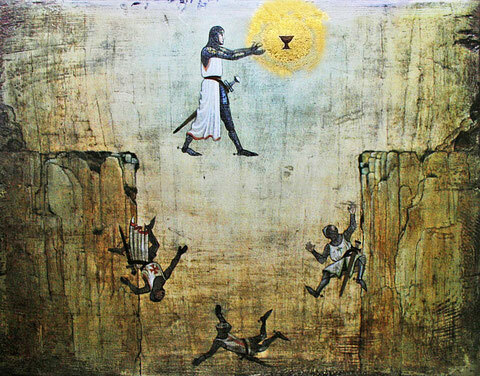 That the vessel Christ used was not of such riches and might have been a humble cup as sugested in "Indiana Jones:The Last Crusade"
the cup of San Isidoro de Leon. 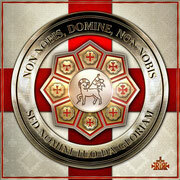 The Templar Kingdom, guardians of the Holy Grail!!! the offical statement of the templar church and the templar kingdom is that we the Templar Kingdom, have it, at an undisclosed location for save keeping, kept holy, away from pagan/saracen defilement.